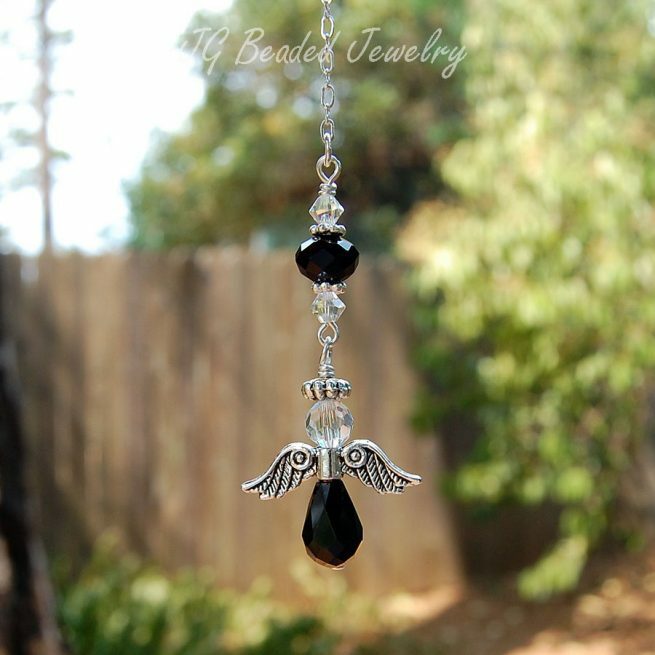 This black crystal guardian angel ornament can be hung on the rearview mirror, in a window or anywhere you choose! 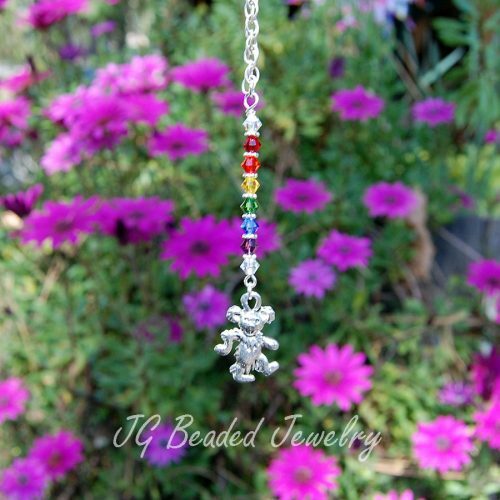 It is carefully handcrafted with love and uniquely designed with black faceted crystal beads, lead-free pewter angel wings, iridescent Swarovski crystals, a faceted German crystal, and fancy silver metal beads. 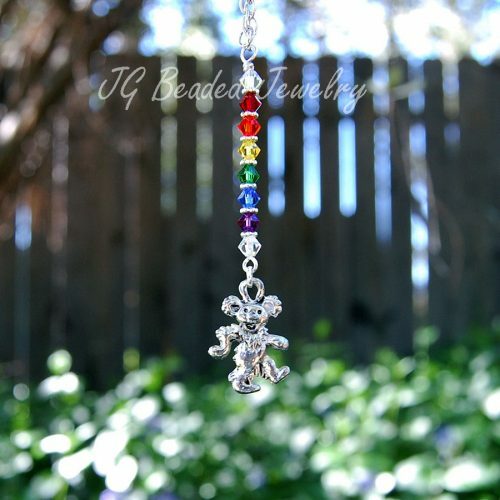 Angels represent strength, protection, and guardianship. 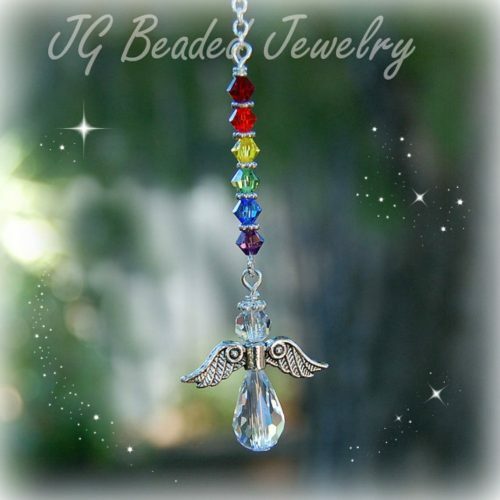 They are a thoughtful gift for a new driver, to serve as a reminder for the loss of a loved one, or as protection and guidance.